Police are searching for thieves who made off with an ATM machine during a daring smash-and-grab burglary in Mountain View. The incident was reported early Tuesday morning when police said the suspects used a stolen truck to smash through the front of Michael's at Shoreline restaurant, located on Shoreline Boulevard. The thieves then drove off with an ATM from the lobby. The truck was found abandoned a block away. 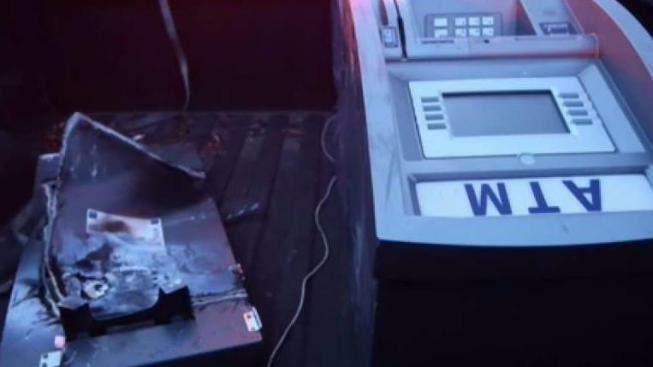 Police said the ATM was found around 4:30 a.m. torched, broken apart and empty in a Google parking lot about a few miles away.